Scents can take us to different times and places so I've been waiting to wear this one during our honeymoon so I can transport myself to that time once it becomes a memory. 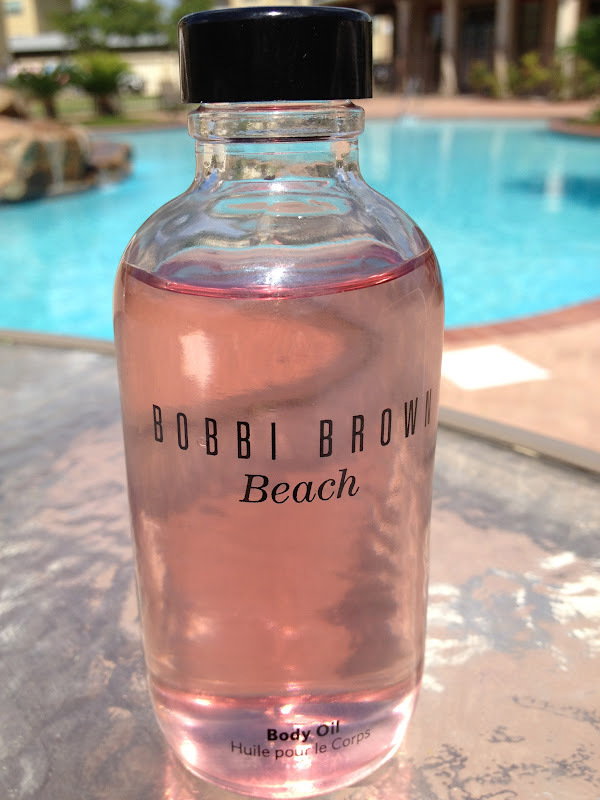 Bobbi Brown's Beach smells of pure beach bliss. I love to put just a touch in my hair, just because. The whole line is spectacular and it's no surprise the fragrance is almost always sold out. That's why I started my collection with the body oil. But good news, the fragrance is back in along with a shimmering fragrance oil. And who doesn't want to shimmer during the summer? What is your go-to scent for the summer? I've heard of Beach by Bobbie Brown but never smelled it. Now seeing your post, I want to! The bottle is nice and understated (yes, packaging is important to me). Regardless of season, all I wear now: either Chanel no. 5 or no. 19. Even the color is pretty! I'm so boring I wear the same two fragrances but, this one looks tempting to try. i'd like to try it, love the bottle! Mmmm I love beach scents. I didn`t know Bobbi Brown had one, so I`m going to look for it next time I`m out. I did the same at my honeymoon, except it was with the shampoo and it worked, everytime I used that shampoo it would transport me back there. Funny how that works. Unfortunately the shampoo got discontinued, so I think I`ll do like you for my next vacation and choose a perfume that has been around for awhile and won`t be discontinued! Ooooh have yet to try this, but I LOVE oils so on the wish list! I've been wearing the mark. Hampton's fragrance nonstop! Including my hair :) so that's why my bottle is almost halfway gone already... boo! you know that is my fav fragrance right? smells just like Coppertone (only better) which reminds me 100% of summer!! I cannot wait to try this! Right now my go-to summer scent is Love Spell/ Victoria Secret. It's fresh and light.